A very nice gi in terms of fit, performance, looks and quality. The gi is very well-made with good attention to detail. Unfortunately, Moya Brand gi’s are at the higher end of the market in pricing in general (especially considering there are gi’s of comparable quality priced for less) which might put them out of reach for some BJJ practitioners. But for those who don’t mind spending a little extra, the Moya Brand White Sand would be an excellent addition to your lineup of BJJ kimonos. The company currently offers 4 different gi’s, with each one having it’s own unique branding (all based off the same template from what I can tell), 3 different options for gi pants and a special edition gi that Brendan will be reviewing soon. The gi comes with a free white belt, or for an additional 15$, you can get a colored belt of your choice. Additionally, Jesse Moya’s customer service is among the best that I’ve experienced. After my instructor told me about Moya Brand gi’s and how sharp they were, I decided to look them up on the internet and see what he was talking about. After browsing through the different gi’s on their website, I decided that I wanted to give the White Sand a try. What initially struck me about this gi was the unique look and branding of the uniform. It was sharp looking, but not too blingy. Also, the specs suggested that it would be light and well-made. Those are the main things that I look for in the gi’s that I buy. It was a little more expensive than I’m usually willing to spend on a gi (the prices range from $150 to $200), but I had to have it in order to feed my gi obsession. I figured, what the heck, I can always sell it on ebay if it doesn’t work out. After much indecision about sizing (which Jesse Moya endured with patience) I finally settled on an A3 top and A4 8 oz ripstop pants. For reference, I’m 6’2” and 193 lbs which places me as an in-betweener for most gi’s. I’m perennially between an A3 and A4, which drives me crazy. 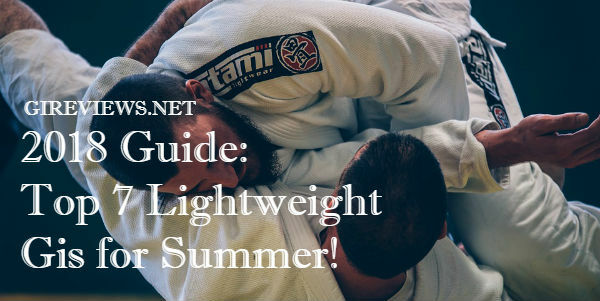 Moya Brand gi’s are shrink-to-fit and as a result, are cut almost a size bigger in order to allow for shrinkage when washed in warm water (ie about 86 degrees F / 30 degrees C). I ultimately decided to get an A3 jacket and A4 pants in hopes that the top doesn’t shrink too much. As you can see, the sleeves come to my wrists and the skirt is medium length. The pants come down to my ankles. The jacket fits perfectly in the shoulders but the pants are a little baggy still. Overall, post-wash measurements show a negligible amount of shrinkage so far with cold water washes and hang-dry. The White Sand has a unique branding in my opinion and will appeal to those who want a gi that is a bit different looking than the industry standard (which seems to be shoulders, lapel, back, and sides of pants patching). 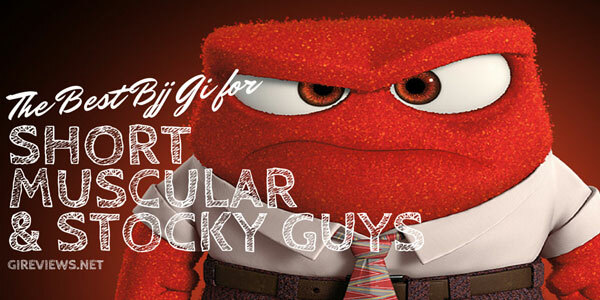 While it does sport contrast stitching, as many gi’s do nowadays, the patches themselves are a break from the norm. They are embroidered cotton instead of nylon print (which should last longer) and placed a bit more unusually than most gi’s. I also appreciate the cool looking company logos and scripting that appears on the patches and gi. Additionally, I noticed that each type of gi that the company sells has its own branding, which is a nice touch. For example, the branding and patch placement are different for each color of gi that Moya Brand sells. Most companies have the exact same branding no matter the color gi. 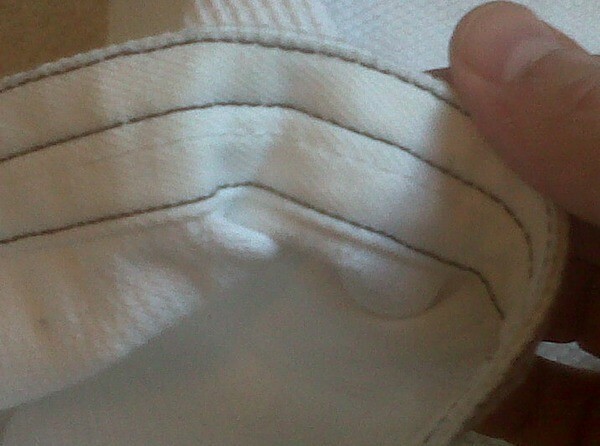 One small detail is that with the White Sand, the patches are navy blue but the contrast stitching is black. A minor detail for sure, but I would be curious to see if navy blue contrast stitching would make the gi more sharp looking than it already is currently. The first thing that jumped out at me with the jacket is how light it is for a 450 gsm pearlweave. The A3 top weighs 2.1 lbs, which is at least equal to or even a few ounces less than many 420 gsm pearlweaves that I’ve had experience with. The sleeves still come down to my wrist even after 3 washes in cold water and hang-dry. I was quite concerned with getting an A3, but decided to take a chance on it since it was cut longer and bigger than most A3’s. It has worked out great so far. The skirt is medium length and the shoulders fit perfectly. One thing that I really dislike in many A4 jackets is that I shift around in them while in guard because the shoulders and body are too big. 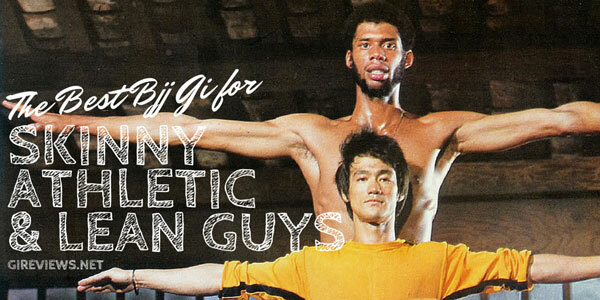 Not many gi’s are cut for slim people. 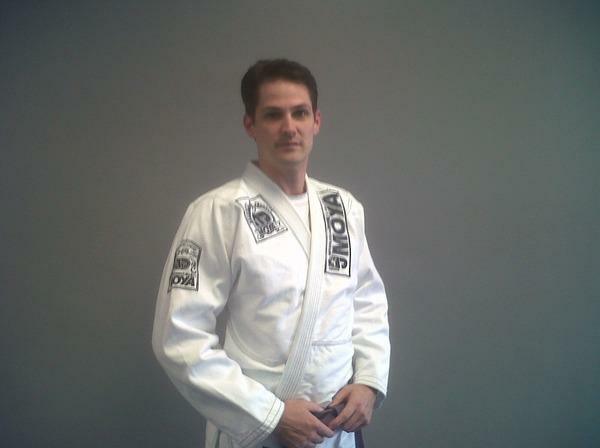 I do think that the White Sand jacket has a more athletic cut to it compared to other gi’s that I’ve owned. The width of the sleeves are a happy medium between being too baggy and too tight. The lower panel of the jacket is sewn a little lower than most gi’s giving it a different look. The jacket is double and triple stitched and reinforced at all seams and stress points. The lapel is pretty stiff compared to other gi’s I’ve owned and slightly thicker. It is EVA foam, covered in cotton canvas. A nice touch are the reinforcements at the sleeve cuffs. They are taped with cotton canvas material, which is very soft and durable. Many gi companies now are placing lightweight, scratchy tapes that have company logos on them at the sleeve and pants cuffs. The White Sand taping by contrast is noticeably softer and durable. It is cut according to IBJJF standards. The pants that I bought with this gi are the 8 oz ripstop pants. Moya offers 8 oz cotton twill and ripstop, 10 oz cotton twill and also 12 oz cotton twill. The 12 oz cotton twill pants are the normal pants that come with the gi. The 8 oz ripstop pants weigh 1.0 lb, which is obviously very light. The website clearly states that the ripstop pants are intended for light training and competitions. But, I live inAtlanta,GA and it gets unbearably hot and humid during the summer. I tend to buy either 8 oz to 10 oz cotton or ripstop pants for that reason, knowing that I’m potentially sacrificing how long the pants might last. The pants come down to my ankles, but I do expect for them to gradually shrink a little more with continued washing even in cold water. They are a little baggy on me, but I’d rather have long baggy pants than short tight pants. The padding on the knees are well-placed extending from the thigh to the shin. 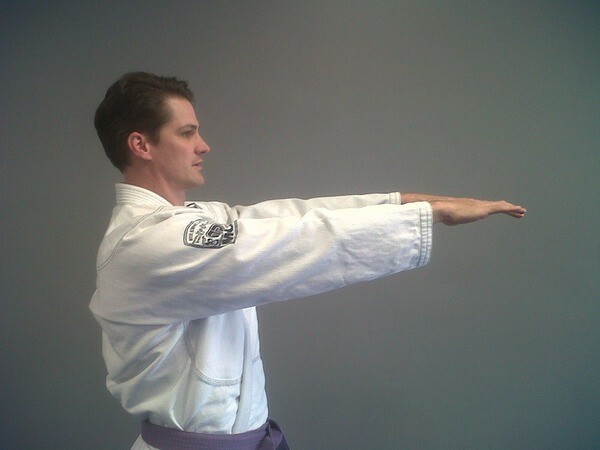 One thing that I don’t like on some gi’s is when the padding rides up over your knee or if it ends right in the middle of your knee (which can be uncomfortable). The White Sand does not have those problems. The pants come with a rope drawstring and four belt loops. One thing that I will point out is that the belt loops seems to be placed too high on the pants. This leads to the rope riding up and over the pants when rolling. I haven’t really noticed the rope cutting into my sides at all when it does this however. A lower placement of the belt loops by about an inch would remedy this from happening. The rope is very long and I had to cut it down and then melted the ends with a match. No big problem with that and I understand that the pants have to also fit people who are bigger than me. The ripstop pants are stiff and sort of cardboard-like, which is not necessarily a drawback. The trade-off is comfort for performance. I noticed during rolling, I felt quicker in guard and was able to break grips a little more easily. Cotton pants are admittedly more comfortable than ripstop pants in my opinion, but I like the light, friction-free feel of the ripstop pants. Time will tell if they are any more or less durable than 8 oz cotton pants. A very nimble gi. 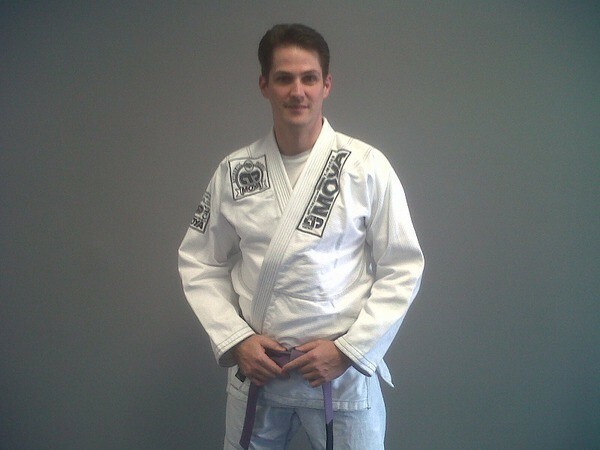 When I started rolling in this gi, I naturally went to guard because it’s so light and slides so easily on the floor. I definitely felt like I was faster in it than I am normally in heavier gi’s and breaking grips seems pretty easy. The pants glide along the mat without much effort. My training partner (who is 245 lbs and a former weight-lifter) commented that he had a tough time holding his grips on the pants. I expected the jacket to have some stretch-out problems because of it being so light-weight, but I did not experience this at all. It’s stiff and sturdy and should hold up to rigorous training. I do expect, however, that I will have to replace the pants within a year or two because they are 8 oz. One thing that I really liked about the jacket is that I didn’t get hot in it. It’s already beginning to get humid and hot inGeorgia and I really dislike it when you feel like it’s 10 degrees hotter inside your gi top when you are rolling. I prefer light weight tops for this reason and the White Sand top fits this bill perfectly. An excellent gi. It has quickly become my favorite gi to train in. I really like the fit, performance and look of the gi. I hope that in future batches of the gi, the belt loops are placed a little lower and maybe consider navy contrast stitching. I do wish that the gi was priced lower than it is, but it is without a doubt a high-quality product. Got a lanky body? 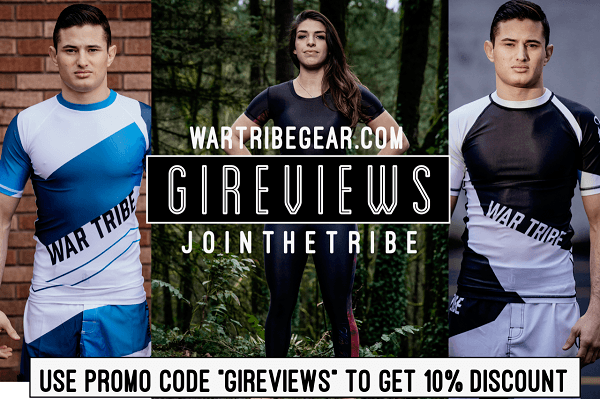 These BJJ gis from MMA Warehouse will surely be your best fit! 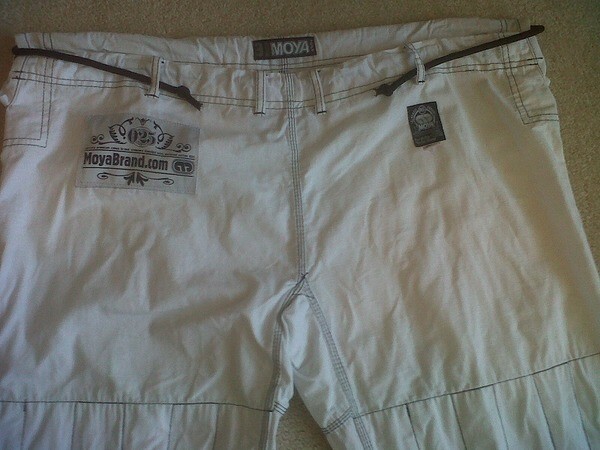 Moya Brand is a pretty new company that brings some cool new Brazilian Jiu Jitsu Gis to the market. They offer more than just t-shirts and have come out with some pretty cool brazilian jiu jitsu gis so far. We’ve spoken with Jesse from Moya Brand on multiple occassions and they are very fast to reply via their contact form on their website and on their facebook page. One of the coolest things thus far about their gis seem to be not only their contrast stitching, but also some pretty cool patchwork. We are digging not only their regular patches and the separate patches they have, but also the really cool patch on the Moya Brand DeCart Brazilian Jiu Jitsu Gi. They currently sponsor Bill ‘The Grill’ Cooper and offer some innovative gis with solid contrast stitching. 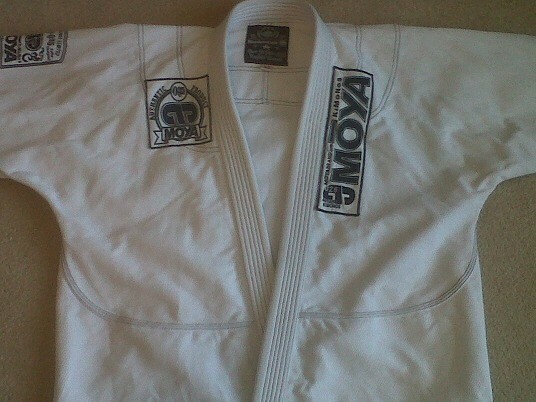 Do you own a Moya Brand gi too? 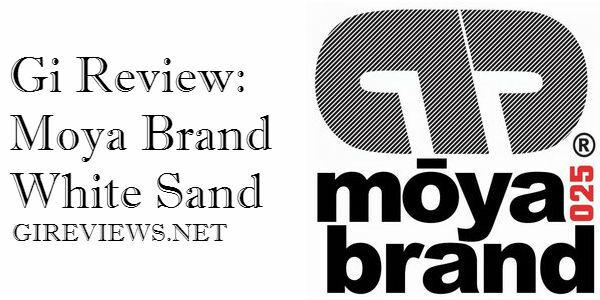 Any more thoughts on the Moya Brand White Sand gi? Post them in the comments below?